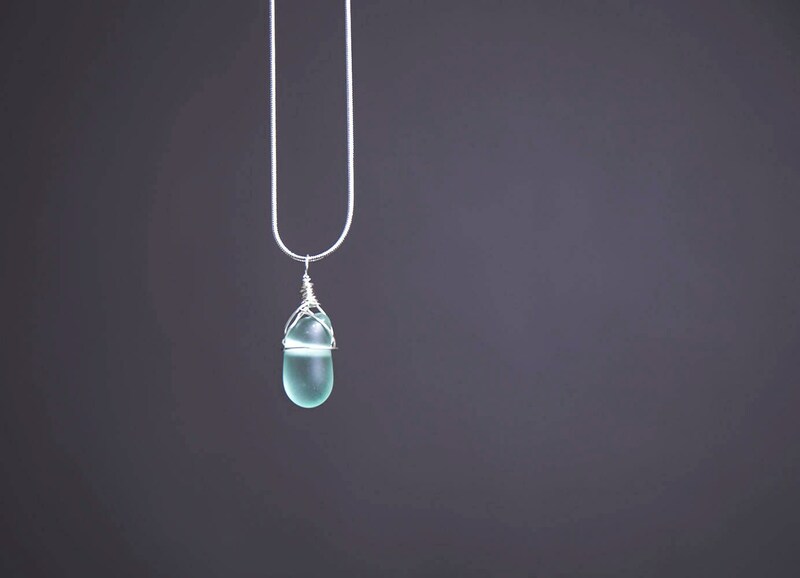 A stunningly smooth and glowing droplet pendant. We took tea-making equipment and breakfast provisions and made a little fire under the cliffs. Then we went beachcombing, searching for that telltale glittering in the sand along the shore. 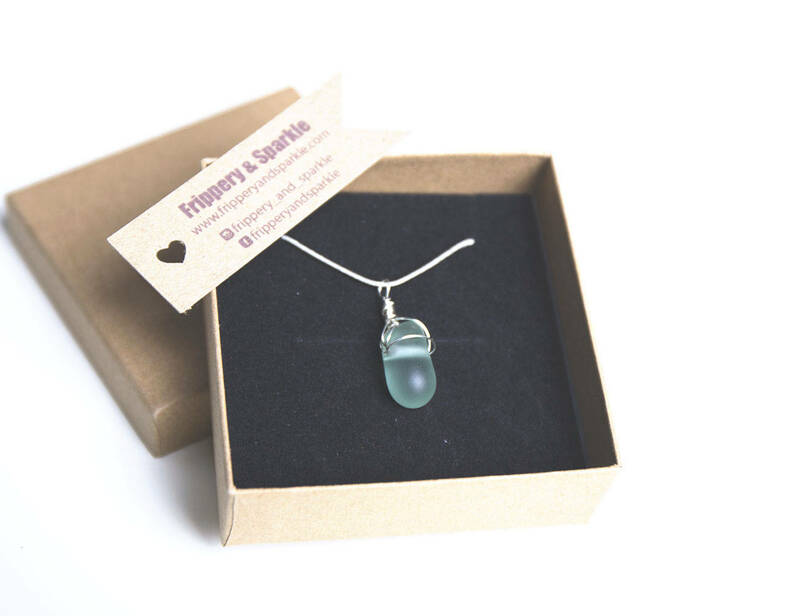 Fashioned from a unique piece of Seaham seaglass, gathered directly from the waves (with a squeal of joy at its singularly beautiful shape - it's *so rare* to find anything like this) and brought home to be tumbled just a little bit more. 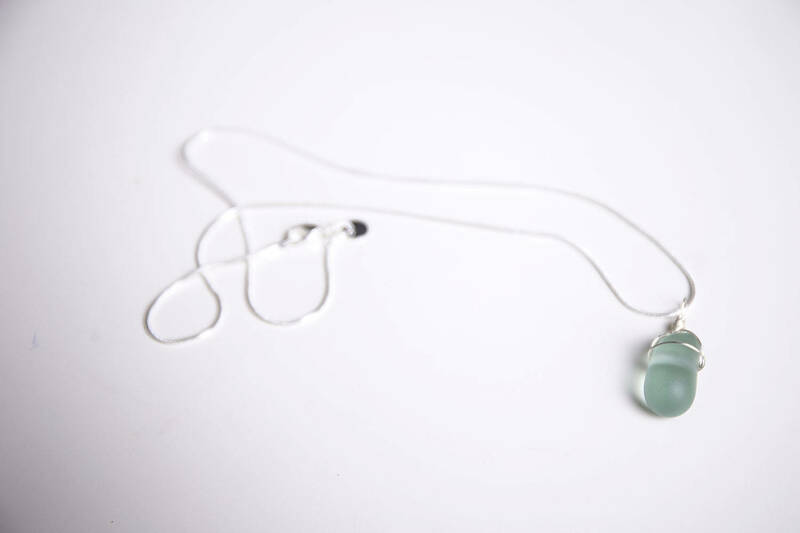 Until it is so smooth it actually appears to glow. 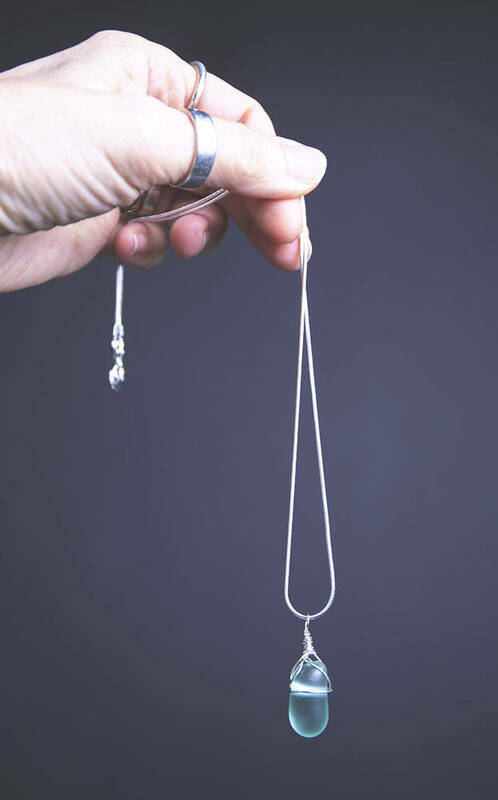 Twisted onto sterling silver wire and hung on a sterling silver chain. 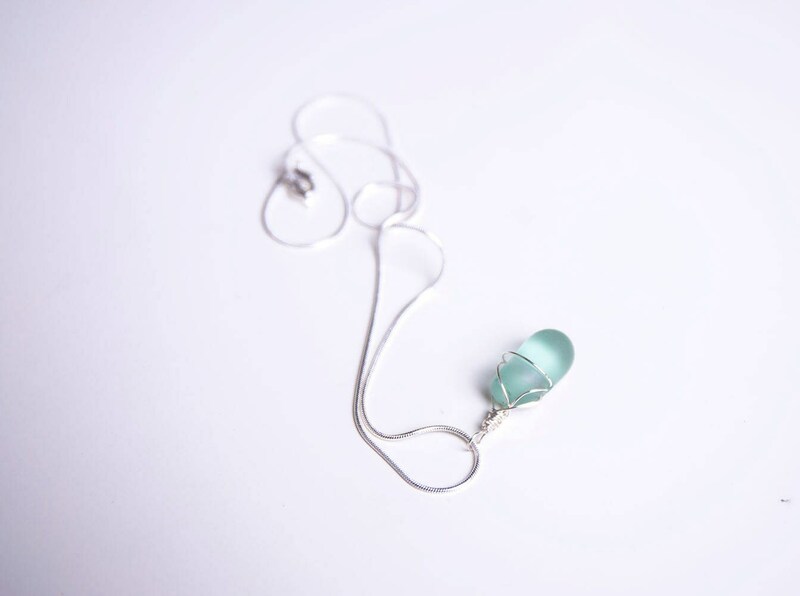 Sent to you in its own lovely presentation gift box. If you have any queries, please do send me a message. I'm happy to help.